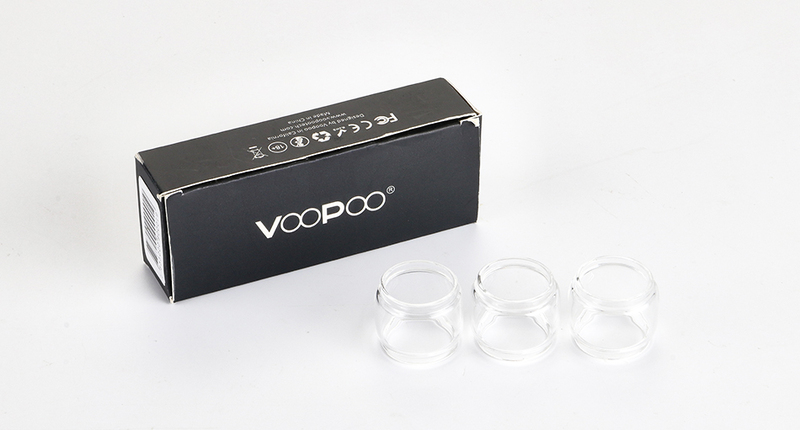 The VOOPOO replacement glass tube is designed for UFORCE/UFORCE T1/UFORCE T2 tank. It has 5 juice capacity of 3.5ml/5ml/5.5ml/8ml for your selection. 3 pieces each pack. Just get it as a spare part. Please note that the 3ml/5ml glass tube is designed for UFORCE Tank; the 5.5ml/8ml(need a connector, not included) glass tube is designed for UFORCE T1 Tank, and the 3.5ml/5ml/5.5ml/8ml(need a connector, not included) is designed for UFORCE T2 Tank. Note: The 8ml bulb glass tube need an extra connector to fit with UFORCE T1/UFORCE T2 tank.